In your program, you are reaching the un-reached. This gets further reiterated after seeing the fact that the only Government school that existed in one of the “padas” was non-functional even at 1 p.m. on the given day. The basic act of reaching the tribal on such a large scale (given that you have about 14,000 schools across India) is commendable. Over the past few years, Ekal volunteers have continually found various ways to raise funds in the quest to empower the children of India. Whether it was by making a local presentation or having a performer do a show, countless volunteers have always risen to the challenge presented before them. So, it should come as no surprise when this past summer a few active Ekal members again relied on their innovative thinking and compassionate ideals to collect funds for the organization. Roma Mehta from Spring Hill, FL, and a recent graduate of Hillsborough High School 05’ (IB) was one such volunteer who like most graduating seniors, was excited about having her graduation party. She decided her graduation could serve two functions: provide her with a well-deserved celebration, but also an outlet which could serve to help the unfortunate children in India. Roma took all of the graduation money she received from friends and family, and decided to send these collections to the Ekal Vidyalaya Foundation. For the first time Ekal Vidyalya DC Chapter will present 'Going Back to the Future' which will feature a talk by Brahma Kumari Jenna Maharaj and an interactive Appreciative Inquiry workshop (http://www.centerforappreciativeinquiry.net/). This program will invite the community to share insights on traditional values of India and how the current values of these times shape the lives of our children, work and social relations. During the months of November & December 3500 full time Karyakartas have been trained in the production of Organic Manure for which complete training programme has been prepared. Visits were made to rural villages in the Maharashthra state including Dapti, Vinval and Malgar. During these visits Bipin was able to see first hand the Ekal schools in operation and also speak to members of the community regarding the current Gram Vikas Project. 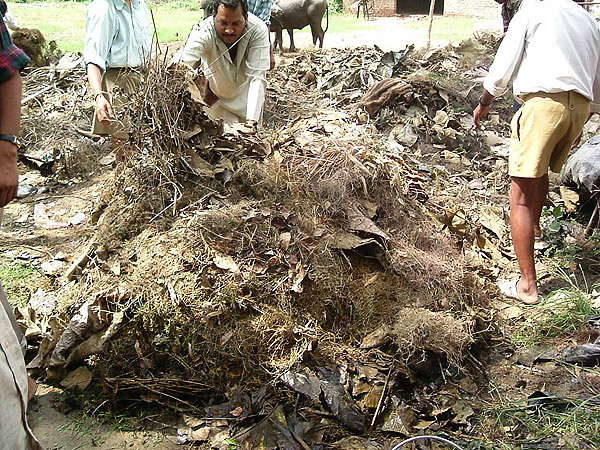 Discussions were held as to the importance of using vermi compost instead of chemical fertilizers. All villagers commented on how the Ekal schools have improved the quality of education for their children, which otherwise would have been non existent. The main reason being that the schools were run to the needs of the community and at times that allowed normal daily work activities to be completed. 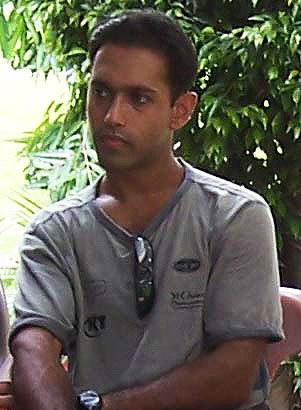 The second piece of work assigned to Bipin was to write a system specification for the recording of the Gram Vikas data. The visits made to the different villages as well as taking to several karyakartas helped form a system document. This specification can now be used to develop the required system. Second Naishnatya Varga of Arogya Yojna was held in delhi from 15th to 20th November 2005. The Varga was inaugurated by Dr H. K. Mittal (Coordinator). Right from the inauguration of Varga the office bearers namely Shri Ganesh Shenoy (Prabhari), Dr. Harish Anand (All India Yojna Pramukh), Sri Virendraji, Sri Rajshekharji, Dr. Sarita Mittal and Miss Priyanka Dhingiya were present. In this Varga, 33 full time workers (21 Women + 12 Men) participated from 13 States. This varg continued for 5 days. Subjects of Health, Disease, Hygiene & Sanitation, how to take care of pregnant women and new born child, vaccination, malnutrition, diarrhea, malaria, TB & AIDS, first aid, yojna and work system, how to fill mulyankan forms, teaching system, etc were discussed and guided by our well experienced Arogya Adhikaris. In the closing ceremony, All India Ekal Vidyalaya Yojna Prashikshan Prabhari – Sri Sriniwas Panda guided all the workers on the topic of “Sanskar” and expectations from Arogya Yojna. Sri Shyamjee Gupta also gave his guidance and blessings to the people present in the varga. 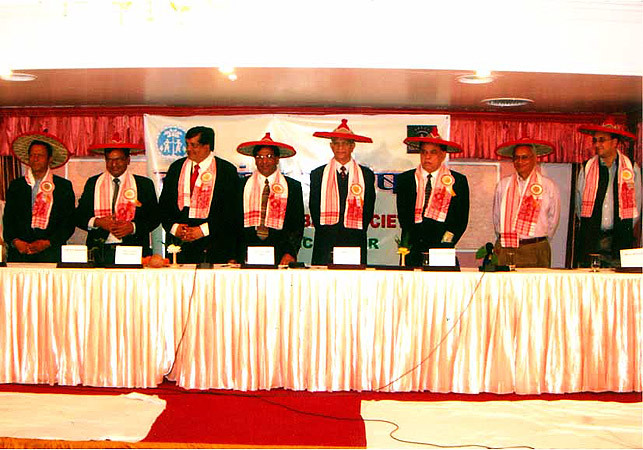 The 14th Chapter of FTS was inaugurated at Guwahati, the capital city of Assam, with all traditional fervor and gaiety. 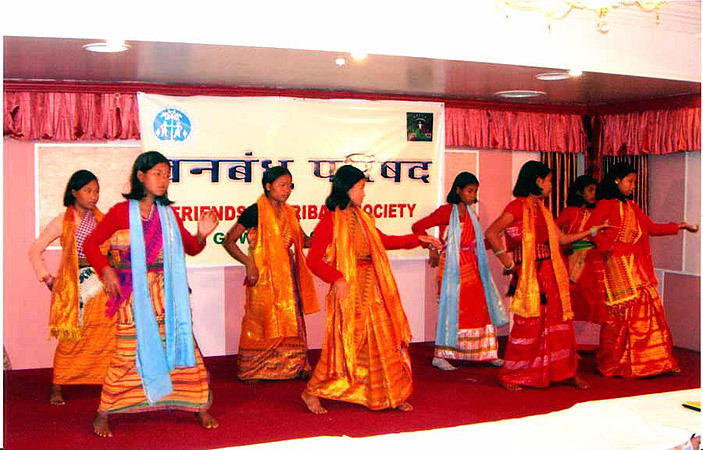 After having chapters at Tinsukia and Silchar, Guwahati became the third chapter of FTS in North East. The formal inauguration was organized on November 27th, 2005. Sri Rameshwr Lal Kabra - All India President of FTS, Sri Sajjan Bhajanka - All India vice President of FTS, Sri M. L. Jain - All India Gen. Secretary of FTS, Sri Ramavatar Agrawal - President of Silchar Chapter and some especial guests were present there. Sri Bhajanka and Sri Ramavtar Aggarwal showed great concern for the successful opening of the Guwahati Chapter. So was the enthusiasm of the people and committee members that they sponsored 141 Ekal Schools on the spot. The most encouraging was the announcement of 5 ladies who adopted 5 schools from their own household budget. A formal Mahila Samity (Ladies Wing) was also formed under the leadership of Smt. Susheela Agrawal and Smt. Uma Deorah at Guwahati.